Welcome to SDC International Shipping, providing stress-free world class shipping with competitive pricing and rapid response times. We are more than just your typical international moving company. Our team has extensive training, in-depth background checks, years of experience, professionalism and a multitude of other top-notch qualities. 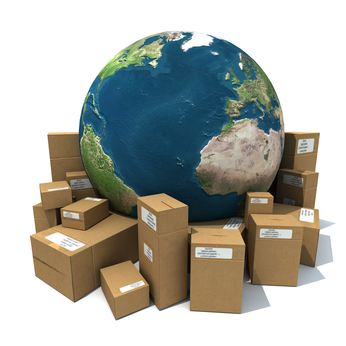 We offer everything, from Moving household goods by air to sea freight and oversize shipping. Each moving consultant will assist with the proper paperwork to get you where you need to be. If you are seeking an affordable moving company with a proven track record of success, look no further. Contact SDC International Shipping for a free estimate today. When working with SDC International Shipping, you can quickly ship with air freight. If you are looking for international relocation specialist, you’ve come to the right place. This method is great for those who need their belongings transported quickly. Although a bit more costly, shipping your household goods by air is an extremely safe method and you can take advantage of our 24/7 shipment tracking, so you can always keep an eye on your goods. What are the benefits of shipping household goods by air? Shipping your household goods by air is the quickest and most reliable way to transport goods, along with being the most popular shipping method at SDC International Shipping. Our air freight services can deliver your household items or just a few belongings, anywhere in the world. Although a bit more expensive than shipping it by sea, this is our most popular service as it only takes a few days to deliver. We offer 24/7 shipment tracking so there are no surprises. If you are making a permanent move and need to ship over fragile artwork or heirlooms, this is the best method to take advantage of. Give us a call today to safely ship your goods overseas. Why ship your items by sea? You should use the sea freight shipping at SDC International Shipping because we can move goods cheap and in bulk. With this process, our professional movers will pack your belongings, put them on the ship and drop off at your new location. Sea freight shipping takes a few weeks but if you have the time, this is a safe and cheaper option. Call today for a free estimate and learn about the safety of vehicle shipping. Is vehicle shipping actually safe? Vehicle shipping is extremely safe, especially when working with our international moving company. Perhaps you are curious about shipping your car to the U.K. or maybe you have oversize freight that won’t fit on the plane. SDC International Shipping has all the bases covered. Our renowned Ro-Ro Shipping will gently wheel your automobile onto our ship and transport it overseas. For those of you without a vehicle but still have large items to ship, let our professional movers provide you with our oversize freight options. Items such as snowmobiles and jet skis are often transported with our oversize freight methods. Give us a call and we will pack the items for you. Will SDC International Shipping and removal company help me with packing? 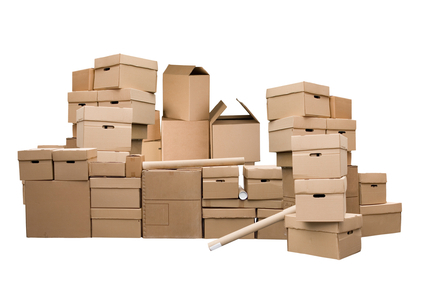 A professional mover from SDC International Moving will gladly help with packing. We understand that packing can be time-consuming and quite exhausting, which is why we want to make the process as simple as possible. Our movers can gently pack your belongings and keep all items intact. You can sit back and relax while the team at SDC International Shipping moves your entire household. Can you provide me with storage options? SDC International Shipping provides our clients with highly monitored storage facilities. Many of our customers are in-between homes when moving abroad which can be challenging when it comes to storing your belongings. Luckily, SDC International Shipping offers fully secured and monitored storage warehouses where your goods remain safe. All of our facilities have 24/7 security, inspections and are climate controlled. When you are ready to move, we will ship your goods immediately. Call us and find out why you should work with SDC International Shipping. Why work with SDC International Shipping and removal company? Work with SDC International Shipping because the staff has years of experience moving families and individuals all over the globe. Check out our review pages- we have some of the best international moving companies reviews online! We provide international relocation services worldwide. We handle everything from customs clearance to helping gather passports and various documents. A moving coordinator will work with you every step of the way while we can assist with creating a moving checklist. When working with SDC International Shipping, we never miss a step. What makes us your first choice? You’d better ask our satisfied clients, who have experienced a smooth and professional international shipping process – up to the point they got comfortably settled in at their new home. In order to get the best moving services, you ought to look for an experienced company that offers world class shipping services – so you’ll know that you and your belongings are in good hands. SDC offers a wide range of moving and shipping services, so with us, you can find a solution for all your moving needs and book every service that you need, at one place. If you’re just about to move to a new country, you’re probably concerned about how’s the relocation going to be for you. Why don’t you give us a call so we can take care of your relocation, from A to Z? Reading further, you’ll learn about our benefits, advantages, and what makes us #1. When you’re about to relocate your residence to a country overseas, there’s a lot of things you need to take care of and a lot of information you need to gather, such as where you can get international moving services, how to best ship your car, where you can find professional movers, what shipping services are offered by moving companies, and more questions yet to be answered. If you’re looking for international movers in Los Angeles, you’re surely at the right place. SDC offers various world-class shipping and moving services. Our movers are well-trained professionals that will provide you with excellent results and responsible service which you can count on. Our movers provide more than just shipping services – you can also get professional packing services and even storage solutions to cross something else off your list. At SDC we offer shipment both by air or by sea, depends on the service which best meets your needs. On the bottom line, air shipment is faster and safer, while sea shipment is cheaper. Of course, we offer 24/7 tracking service so you can know where your things are any time you want to. Now, when we say things, we also mean your car, your motorcycle, or any other vehicle you would like to ship. As you probably understand, at SDC we take care of all your moving and shipping needs – guess it’s no wonder why we’re the best international movers in Los Angeles!